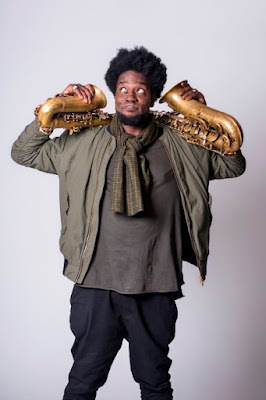 Soweto Kinch is a prodigious talent treasured as a multi-award winning saxophonist and MC. Well-known as a broadcaster and an outspoken commentator on social issues in Britain and the wider world, it might be less well-known that he studied Modern History at Oxford and that he has a deep knowledge of art and art history. Before an engaged audience at Ikon Gallery, Birmingham, he spoke to Ikon Head of Learning Linzi Stauvers with great passion, erudition and sensitivity about eight artworks of special importance and relevance to him and his practice. “Initially what spoke to me was just the 'soul' of the work,” says Kinch. “I was struck by how fantastical the world he creates is. So soulful and so realistic at the same time. You feel immersed in the world he creates.” To Kinch, born in London and growing up in Birmingham as part of a Caribbean diaspora, Chagall’s imaginative recreation of Jewish experience resonates with the same mixed sense of familiarity and strangeness. Akin to Chagall’s transmogrifications, the transformative effect found in gospel and blues is something Kinch tries for, embracing the sense of people questioning their own perspectives. Prefiguring Impressionism by half a century, the vibrancy of the image is striking, but the context and narrative of the painting is harrowing. 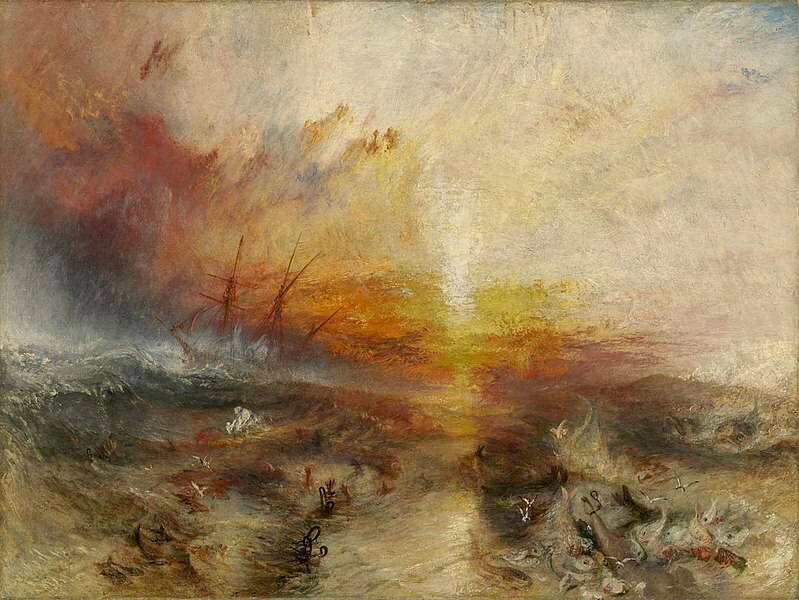 The slaver, rather than saving the human cargo of the wrecked ship, decided he’d be better off letting them drown and making an insurance claim. The levels in the painting are like a weird yet powerful metaphor for art history: pretty on the surface, but uglier the more you dig. Kinch is impressed by Hogarth’s honesty, the naked truth of his unflinching depiction of every level of British society, including black people. “You don’t find such brutal honesty elsewhere,” he says. 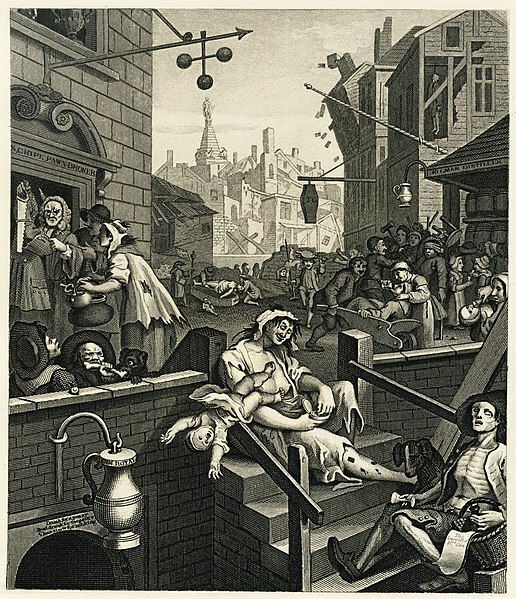 It’s not merely ‘gin’ that causes this social chaos on the streets of London that polite society would prefer to overlook. Hogarth is peering into deeper problems in a way that still speaks today. Kinch talks about “The Doll Test”, an experiment that has been repeated since the 1940s using young children’s perceptions of dolls, unfailingly providing a shocking revelation of how by even a tender age we have already imbibed a generalised racism. Barbara Walker depicts Birmingham life heterogeneously and Kinch praises her “great skill, soul and emotion” and, not just because they lived streets away from each other growing up, “such detail I feel like I’ve known these people for years”. Rothko now exists in a decorative domain for many but Kinch’s encounter with the paint itself and the process of creation relates again to his feelings of humanity and soul across artforms. Kinch is fascinated with how artists are “sanitised” over time. John Coltrane is an abiding example, who people admire for his spiritual qualities and virtuosity. But when Coltrane played Walthamstow Working Men’s Club and Harrow Hall, white men were walking out. Tubby Hayes openly mocked him in the aisles. What is “safe” to us now, wasn’t at first. It is fascinating how an artist can become rarefied. “It stops you in your tracks and slaps you in the face,” he says. The painting depicts activist and intellectual Angela Davis. Its incredible detail includes words and letters and mathematical form but Kinch is also drawn by its organic, human qualities, its “soul”. Like Hogarth, Jarrell is compelling and honest. He was involved in jazz too. The 1970s may have had a more fluid approach to genre, with cross-pollination between visual arts and dance, and musicians like Roy Ayers and Lula Collins attracting diverse audiences from both jazz and pop. This appeals to Kinch’s interest in using multi-platform art to express a feeling.